As a lot of local wedding professionals, I am a member of a very large wedding resale group on Facebook. It’s a great resource for couples looking for advice and items for their wedding. A lot of the conversation is asking for referrals for quality vendors, and every time invitations come up, Diane Kostal of It’s All Personal is ALWAYS recommended by someone. She does beautiful work for any budget and does it with kindness. 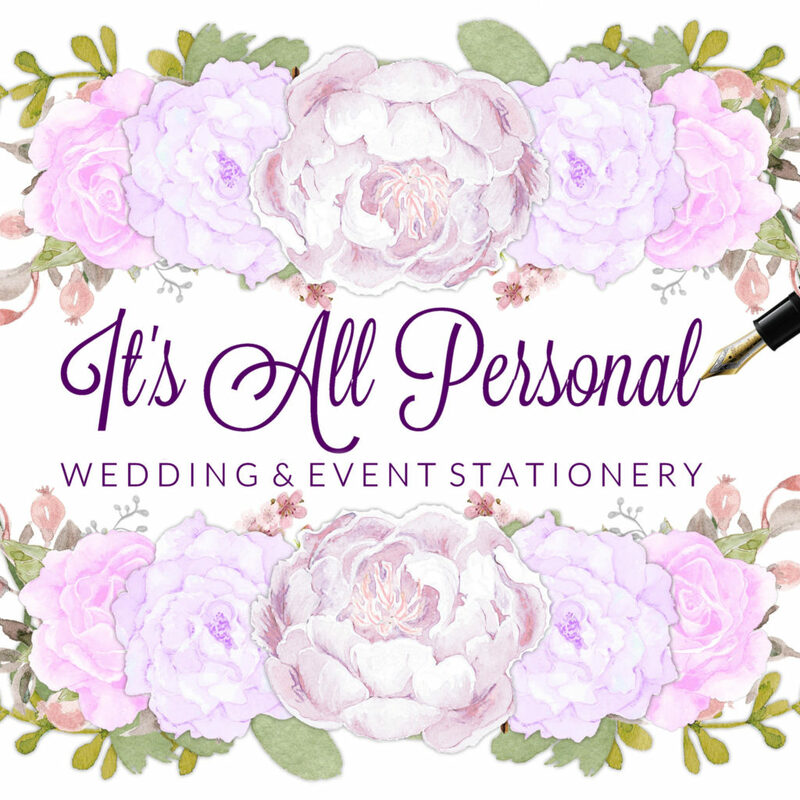 She is professional and will help guide you as you design your wedding stationary with her. I myself recommended her too. 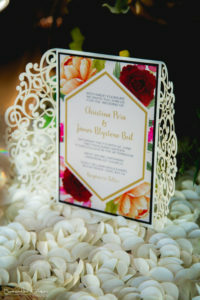 At It’s All Personal we design custom wedding and event stationery that is Uniquely Yours. We want to set the tone of your event through our design. We strive for perfection and quality at a reasonable cost. We want to wow your guests with our designs and bring your ideas to fruition. I am the mom of four amazing children, they are my world. I have a wonderfully supportive husband and an amazing extended family. I grew up Salem, Ohio a small town in Columbiana County and had a very large family. 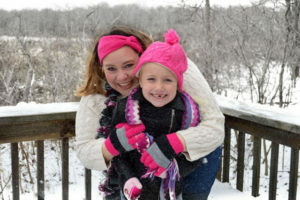 I am the youngest of seven children, and since there was a large age difference between myself and my siblings, I was pretty spoiled as a child. I have a love for family and a very large heart. In every job I have ever had, I achieved a managerial position, I take pride in all that I do, and I jump into a leadership/problem solver mode when necessary. Wedding Stationery found me. I loved to scrapbook, and when the scrapbooking industry introduced digital scrapbooking I fell in love with it. I started out doing invitations for family and friends and as time went on my love for the art of design grew. 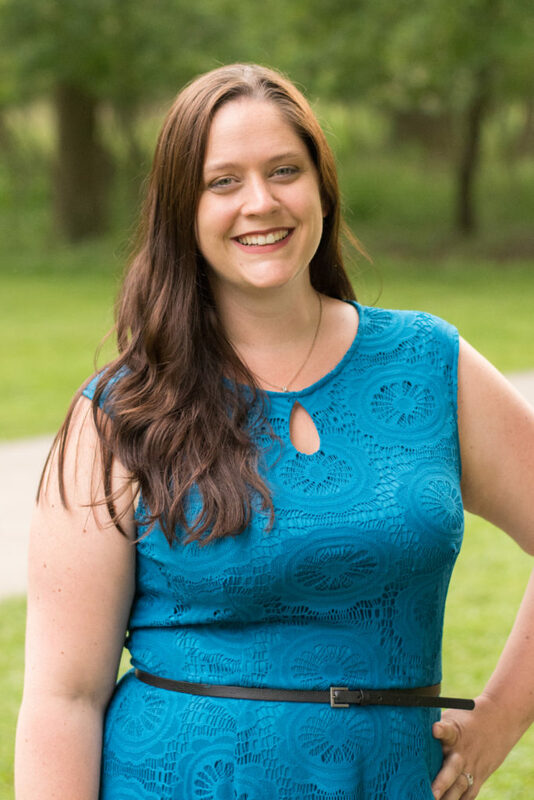 I never dreamed of having my own invitation company, it just happened and I could not be happier. When a local design company reached out to me on Facebook and wanted to network, my business flourished and I left my full time job to make this new dream a reality and have never looked back! 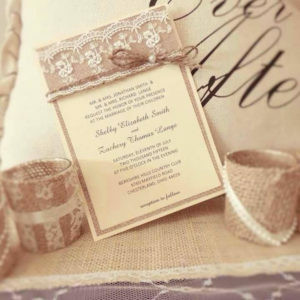 Laser wrap invitations are so beautiful and add so much elegance to an event. 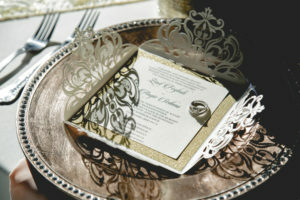 I love metallic invitations, glitter and foil! Meeting couples in love, that are just beginning their journey and making their ideas come to life in my designs. 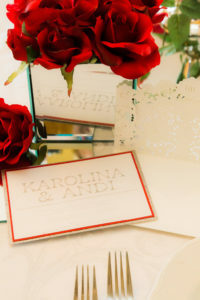 Often couples order extra Wedding Stationery because they do not have a clear guest list and are basing their order on the number of people they are expecting, rather than the number of couples/households. They order in bulk to save money, but then quickly realize how many invitations they are wasting and throwing away because they did not have an adequate handle on their guest list. My ideal day at work is designing an invitation that is Unique and wowing my clients with the finished product that exceeds their expectations. My ideal day off is spent with my family. I am blessed to have four healthy children that hold my heart in their hands. A simple day, watching TV, cuddling with my children, walking in the park and holding my husband’s hand is all I really need to refresh my mind and get back to the daily routine the next day. I am inspired by other Stationery Specialists that have out of the box ideas. I love the work of The Pink Tomato. I love when vendors that offer the same services can brainstorm and work together to achieve greatness. I am inspired by people that are welcoming and open. I am watching Four Weddings as I type this, I love the different ideas that the brides have and watching their ideas come to life. I also love Say Yes to the Dress, and Orange is the New Black. I will always change the channel if Friends is on, it is my go-to show! We love to go to Edgewater Park and take walks, we love the West Side Market, and driving through Downtown Cleveland. We love Wahlburger’s! Follow your dreams, listen to your heart, and live life everyday. Thank you so much to Diane for taking the time to answer some questions. Also for all of her hard work that she does for her clients. My partner Diane is amazing!!! Adore her work!! Thanks Diana!